“The command of the Greek people will bind us. Do they want to adopt the new deal, or reject it? If the Greek people do not want it, it will not be adopted…We trust citizens, we believe in their judgment, we believe in their decision." It’s not yet clear exactly what will be voted on, but we imagine it will have to include the entire second bailout package, including the 50% write down for Greek bondholders, as well as the austerity and fiscal conditions attached to the latest package. So a lot of important factors for the future of Greece in there. As if that wasn’t enough, it will be tied to a vote of confidence on the current Greek government. So which way will it go? Well, it’s tough to say off the bat. A recent poll showed that 59% of Greeks think the new package is “negative” or “probably negative” for Greece, and there’s been no hiding their displeasure with the austerity measure and economic collapse. As such, there wouldn’t be too many Greeks who would be sad to see the back of Papandreou. On the other hand, they may be keen to see Greek bondholders take some losses finally and endure some pain (although given the Greek bank and pension fund exposure to Greek sovereign debt this could end up costing Greek taxpayers again in the end). The same poll also found that 72.5% of Greeks want to stay in the eurozone. Clearly, there are some conflicting feelings. Have no doubt that if Greece votes down the latest package it could be bad for Greece and the eurozone. It would leave Greece with almost no funding and no government – pushing the country very quickly towards a disorderly default and disorderly exit of the eurozone. That would be painful for both the eurozone and, especially Greece, have no doubt, the financial market turmoil and unknown knock-on effects would send the whole of Europe (including the UK) into a spiral of uncertainty. This could be big turning point in this crisis. The EU should move quickly to come up with plans to mitigate the fallout of a no vote, specifically how to handle a rudderless and broke Greece, which would probably include plans for allowing it to exit the euro. A yes vote would be far from a solution, at best it would buy some time for the Greek government and the EU to enforce some necessary reforms thanks to a fresh mandate. As with any referendum it may come down to the phrasing of the question. Let’s hope the Greek government and the EU do a better job of communicating the issues at hand than they have done so far in this crisis. Straight from his Coulisses de Bruxelles blog, this is how French journalist Jean Quatremer imagines Europe's future following the latest series of meetings of EU leaders. Here we offer a translation of the most thought-provoking points - the full versions of both scenarios are available here and here. The tongue in cheek 'predictions' should be treated with caution. Indeed, Monsieur Quatremer is a staunch euro-federalist (he recently won the EU-funded Altiero Spinelli prize for journalism - no further comments needed), and here he's quite clearly trying to convey the "it's either a federal Europe or war" image. But it's worth a read nonetheless. "General Charilaos Pangalos looks with satisfactions at Syntagma Square from one of the windows of the Vouli, the ancient Greek parliament which has now become the headquarters of the military junta he leads. Two US Abram tanks watch over both sides of the building. Just opposite, excavators finish demolishing the old Finance Ministry set on fire by protesters during the 2012 riots which devastated the centre of Athens." "Everything started at the end of 2011, when the eurozone decided to impose a 60% write-down on Greek debt hold by private investors. As expected, it was the 'bank run', as the economists call it…The EFSF comes to the rescue [of Greek banks] by recapitalising them, but Greece’s small shareholders who had unwisely entrusted their savings to them lose everything. Overnight, Greece’s financial system ends up in the hands of Brussels. Meanwhile, pension funds which had bought government bonds with taxpayers' money are on the brink of the abyss: pensions must be cut, again. The streets explode." "In November 2011, [Greek Prime Minister George Papandreou] is forced to call early elections. Antonis Samaras, the leader of [centre-right] New Democracy party, wins, but is forced to enter a coalition with the LAOS, the orthodox populist right party…Samaras decides to leave the eurozone…As eurozone and EU membership are linked, Greece denounces the EU treaties altogether." "The new drachma is devalued by 50% against the euro. Greece’s trade deficit explodes, as the cost of imports increases…The increase in Greek exports due to devaluation goes unnoticed in this chaos. Greek GDP shrinks by 40%...Greek citizens’ revolt against dishonest politicians continues to expand…Little by little, the country slips into civil war. In 2013, it’s the tragedy: a demonstration in Syntagma Square degenerates, the army opens fire, 90 people die…Terrified, Greece’s big families ask the army to take over power." And what happens in the rest of Europe then? "The EU has bigger things on its plate than to deal with Greece. Athens’ exit has triggered panic on the markets, which now stay clear of the eurozone: if Greece has done it, other countries can follow…Not even France can finance itself on the markets…At the end of 2012, the fat lady has sung: eurozone countries throw in the towel and return to national currencies, hoping to get some respite. But the opposite happens. The new D-mark takes a 50% appreciation, while all the new currencies in Southern Europe are devalued. The entire eurozone is in default." "In 2013, customs barriers are re-introduced as a safeguard against ‘competitive devaluations’. In one year’s time, nothing remains of the European single market…Populist parties win the elections in several European countries. Geopolitical tensions re-emerge on the continent. Berlin is blamed for the collapse of the euro, and looks with concern at its neighbours concluding defence agreements with each other. Germany feels isolated and unloved. Therefore, it starts increasing its defence budget." "In the spring 2022, Eurozone President Jens Weidmann is quite annoyed. He thought that the French had settled down and had eventually incorporated the ‘culture of stability’ after the two mandates of Socialist President François Hollande. But not quite: the newly elected French President, the Conservative Jean-François Copé, has conducted an electoral campaign based on the need to return to growth...Weidmann has therefore invited [Copé] to Brussels, for a meeting in his office in the Berlaymont building, the seat of the European government, to make him understand that there is no question of France going back to deficit and interrupting its virtuous cycle: the 60% of GDP target for public debt remains." And how did all of this happen? "It was at the end of 2011, two years after the start of the [eurozone] crisis, that the governments realised that the financial markets were at war with the euro, because they didn’t believe in the future of a currency without a State or without a government…At the 26 October 2011 summit [French President Nicolas Sarkozy and German Chancellor Angela Merkel] announce their plans for further integration, something which contributes to reassure the markets." "The Britons, Swedes and Czechs make clear that they are opposed to this leap towards federalism. An agreement at 27 is therefore impossible, because unanimity is needed to change the [EU] treaties. In January 2012, Berlin and Paris…unveil their plan for a federal eurozone: an ad hoc treaty at 17, with a specially-elected European constituent assembly in charge of drafting it." "In September 2012, the constituent assembly proposes a text very quickly. The EU remains in place in its current form, and all the countries fulfilling the necessary criteria will be allowed to join the eurozone. The eurozone will be governed by a directly elected president, a proposal made by Wolfgang Schäuble, the German Finance Minister, who will lead the government. 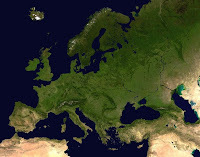 The Parliament, also directly elected…will be in charge of controlling [the government] and adopting, along with the eurozone Council of Ministers, the economic and budgetary guidelines which will be imposed on all member states…If a country doesn’t play by the rules, a whole range of coercive measures will be activated – from the ECJ annulling a deviant national budget to national budgets being unilaterally amended by the Parliament and the Council of Ministers." "The treaty will have to be ratified by a majority of three-quarters of countries. If a country rejects it, it will be given a second chance, knowing that a second rejection would mean leaving the eurozone. In 2014, the new text enters into force. The first elected Eurozone President is Jens Weidmann, the former President of the Bundesbank…In 2019, he’s re-elected without any problems. Europe finally has a telephone number. In 2022, the eurozone has 22 members." And the story ends here. Again, all you've just read is pure fantasy. However, if you have a moment to spare over the weekend, we would be curious to know whether you think that any of these events will take place in the foreseeable future...? 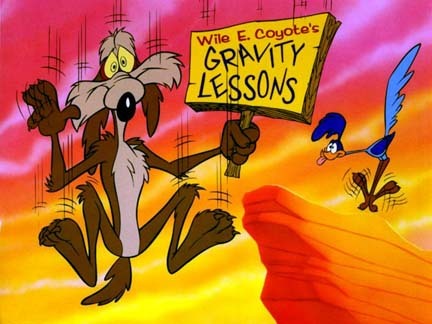 ANOTHER summit gone and another Greek bailout plan to assess in the cold light of day. On the surface this one sounds promising: a 50 per cent write down for Greek bondholders and €130bn in new bailout funds – should sort things for a while, right? Well, unlike in previous rounds, Wednesday’s meeting between Eurozone leaders saw some real progress. But with the risk of being a killjoy, it still falls far short of what is needed to solve the Greek and Eurozone crisis. Firstly, even with this 50 per cent writedown the EU/IMF/ECB troika estimates that the Greek debt-to-GDP ratio will still top 120 per cent in 2020. In other words, after almost a decade, Greece will be where Italy is now, if – and that’s a big if – it meets all the growth and austerity targets laid out for it. Secondly, the headline figure of 50 per cent writedown is misleading. The share of bondholders taking part is unknown, but it certainly won’t include the near €130bn held by the EU, IMF and the ECB. In the most optimistic scenario there would be a 90 per cent participation rate from the remaining €220bn, giving a writedown revenue of around €100bn at best. This means a 28 per cent debt reduction for a country whose debt-to-GDP ratio could top 165 per cent next year, in the most optimistic scenario. It doesn’t exactly return the country to solvency in the immediate or medium term. Then there’s the on-going issue of transferring debt from the private sector to taxpayer backed institutions. Another €100bn in taxpayer loans will mean that by 2014, around 80 per cent of Greek debt could be held by taxpayer backed institutions. Given that Greece will in all likelihood still be insolvent and will need to default in the near future (see above), taxpayers would be exposed to substantial losses. This would not only be economically undesirable but would potentially cause some serious political divisions in the Eurozone. It would also trigger more debate over the possible illegality of the bailouts under the EU Treaties – since loan guarantees become outright losses. In combination, this would present a threat to the stability and sustainability of the Eurozone, leading to profound uncertainty. Equally worrying for taxpayers is that the figures for this bailout don’t quite stack up. Of the €130bn headline figure, €30bn will go to providing “sweeteners” for bondholders taking part in the writedowns (collateral, guarantees or even cash pay outs – which is not what taxpayers want to be funding), while at least another €30bn will need to go towards recapitalising Greek banks. Greek financing needs over the next three years could top €165bn (on top of the original bailout payments), meaning this bailout and writedown will at best only be able to cover Greece for a few years. Many questions remain but the specifics we have aren’t pretty: a continually insolvent Greece, an increasing taxpayer burden, a bondholder bailout and a looming default. Instead of fabricating complicated financial instruments (which they previously lambasted for causing the crisis), Eurozone leaders should accept a full hard restructuring in Greece, full recapitalisation of European banks and begin implementation of the necessary reforms to boost growth and competitiveness. So, another summit passed and another chance to assess the agreements in the cold light of day. Unsurprisingly, we’re not too enthusiastic over the deal which has been struck, not least because it doesn’t seem to have changed much from the drafts which were circulating yesterday, which we critiqued here. To be fair, given the complexity of the deal, we shouldn't judge eurozone leaders too hard for not reaching a comprehensive agreement last night (it's more a matter of judging them by their own standards). In any case here are some of our initial thoughts (most focus on the complete lack of detail or practical implementation included in the plan). Eurozone leaders and Greek bondholders agreed a 50% write down along with €30bn in “sweeteners” for those private investors who take part and another €100bn bailout for Greece. - Significant questions remain over the actual level of debt reduction which this plan will yield. Given that Greece's debt-to-GDP ratio is still expected to be 120% in 2020, we’d imagine not much. Also, this means that basically in 2020 Greece will be where Italy is now. Is that meant to be desirable? - High levels of Greek debt mean another write down is likely. However, with more and more debt being from official sectors how will this happen and will it fall on taxpayers? - 50% write down is in nominal terms, meaning the net present value reduction could actually be less (depending on numerous technical details which were left open by the agreement). - Greek banks need €30bn under the recapitalisation - it's not clear exactly where this money will come from. It looks to be from the amount earmarked for banks under the first bailout, but this is normally counted towards covering other Greek funding needs. Unclear, therefore, if the €100bn will be enough to cover Greek funding needs over the next three years. Essentially the same plan as in the drafts, split between insurance and special purpose investment vehicle (SPIV). Still a huge number of questions which need to be answered, particularly over who will and how they will invest in the SPIV. Starting point of leveraging the fund (how much is left in the EFSF) is unclear, therefore total leverage is still up in the air. The lack of progress on this area is indicative of the complexity and lack of clarity of how this will work in practice. EBA estimates that it will cost €106bn for banks to meet the new 9% threshold by June 2012. UK banks pass all the tests, with most failures coming in the PIIGS. - Huge number of issues here. Firstly, where will this money come from? Clearly given the leverage plans, they don’t expect much to come from EFSF. So most is thought to come from private market – not clear if the demand is here. For PT, IR and GR, the deal suggests the money will come from their original bailouts – it's not clear if there is enough money left in the first rescue package. In any case, this may be self-defeating if it forces PT, IR and GR to ask for more money. - Not clear exactly how the 9% threshold will be calculated, or what capital can be used. However, reports suggest that hybrid capital and convertible capital will be allowed to some extent (win for Germany and Spain) which suggests the targets will be easier for banks to meet. - The UK banks pass partly because all debt was marked to market (even that which had seen an increase in value) meaning UK and German debt became more valuable, in turn making the UK and German banks look healthier. This is an incredibly pro-cyclical precedent to set (although admittedly logical here if you were marking down other debt), so should not be common practice. - The plan to block dividends and bonuses until capital requirements are met is misguided. If the banks are receiving public funds there should be limits and strong conditionality. However, applying it to those still raising on private markets will just cause uncertainty and share price fluctuations, therefore having the opposite effect to the one desired. Now, are there any questions? 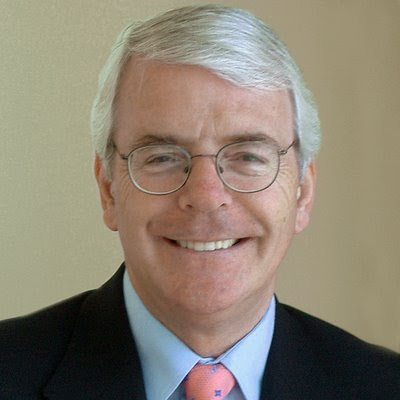 Former British PM John Major has a very interesting piece in today's FT.
"A more integrated eurozone will also provoke non-euro members of the EU by driving them further away from core decision-making. They will react adversely – which is why an early announcement of fiscal union is unlikely. Instead, judicially enforceable controls over deficits, early harmonisation of corporate taxes and a permanent chairman of the eurozone are likely early moves. We are drifting towards full fiscal union: only the timescale is flexible. This has consequences: non-euro members will not wish to be marginalised and may sniff suspiciously at euro-core proposals, rendering decision-making even more of a hurdle. If the eurozone integrates and co-ordinates policy, non-euro members may co-ordinate too. Confrontation looms. Deeper eurozone integration may encourage non-euro member states to seek to repatriate key policies they can’t influence. The UK will not be alone in this. 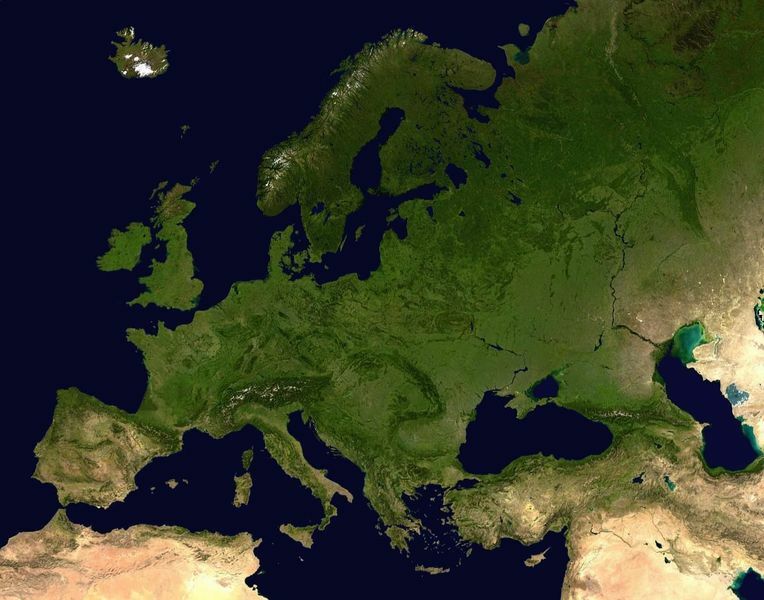 In the next decade, a federal eurozone will change Europe’s mosaic. Within the eurozone it will become more prescriptive; outside, a looser union could emerge. A pattern of variable alliances is likely. EFTA countries may move closer to non-euro members. One thing is certain – the EU will not remain the same. In the UK, and elsewhere, many are pressing for their nation to leave the EU. This is an extreme option that would throw up far more problems than it would solve. For the UK it would be a dangerous mistake but, even so, our relationship within the EU will shift. Cool heads and clear minds are needed: our future depends on it." We've had a quick look at Berlusconi's already (in)famous letter to EU leaders, setting out the type of reforms the Italian government plans to introduce. - Introduction of the balanced budget rule (aka the "golden rule"). The letter specifies that the adoption of each change to the Italian Constitution must take at least three months. 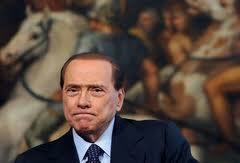 - Adopt a plan to reform Italy’s tax system, i.e. abolishing hundreds of tax breaks currently in force, by 31 January 2012. This will save €4bn in 2012, €16bn in 2013 and €20bn a year from 2014. Failing this, the Italian government would resort to "horizontal" cuts to tax breaks – very controversial as it would basically mean abolishing tax reliefs right across the board. - New rules on the dismissal for economic reasons of workers on permanent contracts. - Creation of “structural conditions favourable to growth” within the next 8 months (no concrete measures yet) - a plan will be presented by 15 November. - Adoption of a plan for selling off of state assets by 30 November 2011. This is expected to raise €5bn a year over the next three years. - Finalisation of a plan to re-organise and rationalise public spending by 31 December 2011 (no concrete measures). - As already announced, retirement age will be raised to 67 by 2026. The letter concludes by saying that the Italian Government will "intervene readily" with further measures, should the situation continue to worsen. Right, so it's all okay then. Q & A: What could tonight’s summit agreement involve? The hope for a “comprehensive plan” to save the eurozone, as originally touted by the eurozone leaders, looks to be a lost cause. The best outcome we can hope for today looks to be a broad political agreement, with technical details left to be sorted at a later date. Given previous experiences with technical changes (notably the second Greek bailout package and the Finnish collateral deal) it is definitely possible that the deal could be watered down, for example with investors being offered greater guarantees over their involvement in the second Greek bailout or with the bank recapitalisation actually turning out to be less stringent than expected. How might the revised second Greek bailout look? The IMF, Germany and most eurozone countries are pushing for a 60% face value cut, although the Institute for International Finance (IIF) – effectively representing banks - still seems someway from agreeing to that. Write down on Greece’s debt are likely to be between 50% and 60%, probably achieved through a bond swap with the new bonds having a maturity of 30 years. EFSF – the eurozone’s temporary bailout fund – is unlikely to offer collateral, although Kathimerini reports that some portion of the bonds may be swapped in cash (essentially bought out or retired, presumably using bailout funds). - We still don’t have an exactly detailed plan, but if EU leaders managed to push through a 60% write down, that would be positive. However, the lack of participation and the ‘voluntary’ nature of the plan mean that the actual debt reduction may still be limited and far below what is needed in Greece. - There is still an on-going desire amongst some eurozone countries, the ECB and the IMF to avoid a so-called “credit event”, involving the triggering of credit default swaps (CDS) – a form of insurance on government debt, which would force some investors and banks to take significant losses. Such an event may be triggered anyway given size of haircuts, but even if it were, he evidence suggests a cascading effect would not take place. It’s worth keeping in mind that not triggering CDS also has an impact, as it could ruin the finances of those who take losses, since they can’t recoup from the hedges they have in place. - IIF will always have stronger negotiating position until the ‘voluntary’ nature of the plan is abandoned, meaning that banks can still avoid losses despite them having to be incurred sooner or later. In short: a full hard restructuring is needed and will only become more costly in the future. Can we expect details on the leveraging of the EFSF? 1) Using the remaining EFSF funds to insure new issues of sovereign debt, likely to be 20% for countries such as Italy and Spain. The insurance is expected to be tradable, not permanently tied to bond it is issued with, and may take form of a certificate with a claim to EFSF bonds or cash repayment. 2) Creating a Special Purpose Investment Vehicle (SPIV) to attract foreign investors (public and private). The SPIV will purchase sovereign debt of struggling eurozone countries, and is likely to take the form of an account with IMF, to which IMF will contribute (amount tbc). Other countries (BRICS and their sovereign wealth funds in particular) and private investors could also invest in this fund. They may chose to create numerous SPIVs, for country specific purchases, and would likely need some EFSF guarantees to get it going, but could then issue its own debt instruments or get capital contributions. - This proposal is still massively vague on technical details and how much leverage is achievable. However, no matter what the details look like, the insurance plan is fundamentally flawed, given that guarantees may not be viable when they are most needed and 20% wouldn’t be enough to calm markets any way (see here for a full breakdown of our thoughts). As we’ve noted before, a complicated and tradable form of default insurance is precisely what EU politicians have spent years to try to regulate against. So their ‘solution’ is riddled with irony given many eurozone leaders aversion to CDS. Furthermore, since the current plan suggests offering EFSF bonds as insurance rather than a cash pay-out, it may be close to worthless since it would only be needed in a situation where a default of Italy or Spain is a real risk. So, in such a worst case scenario, the EFSF insurance scheme becomes almost redundant. - The SPIV plans also hinge on who is willing to invest. Given the massively correlated nature of the risky assets which these funds will be buying, we’d imagine that investors may ultimately get cold feet. To get up and running the SPIV may require significant guarantees from EFSF (such as a pledge to take the first loss, similar to the insurance plan) which would be self-defeating, since the EFSF could not afford this. - Again, there’s massive irony here, as Europe is now falling back on massively complex ‘Anglo-Saxon’ financial instruments to help save the eurozone. Putting these at the heart of an already complex, diverse and flawed monetary union is far from desirable. What structure could the bank recapitalisation take? - Banks must first attempt to raise capital from private sources (including debt-to-equity swaps). Drafts suggest that until this is done there will be restrictions on the dividends and bonuses which banks can pay. If the capital cannot be raised on the private markets then governments will have to step in with an effective bank bailout, and failing that, the buck will be passed to the EFSF. We expect that funds from governments and the EFSF will have even greater conditionality, and will probably require some restructuring of the bank. - Some guarantees of bank liabilities (or bank bonds) may also be required to allow banks access to funding and to stop them shrinking their balance sheets (meaning that they could stop lending money to, say, small businesses). - Bank recapitalisation is definitely necessary, although the marking to market on all sovereign debt does set a dangerously pro-cyclical precedent. Again more technical details to come, but definition of 9% threshold is key - if watered down, this could undermine the whole process. - Applying restrictions to banks raising money on the private market is also not necessarily desirable. This could cause huge fluctuations in share prices and lead to market distortions. Obviously, it is important to make sure banks recapitalise during the given time frame, however, setting these conditions could do more harm than good. Strong conditionality needs to be imposed on banks when the governments or the EFSF lend them money. - Offering guarantees can also be dangerous, as was demonstrated in Ireland. Some guaranteeing of bank bonds to maintain access to funding may be necessary, but offering broader guarantees could begin to weigh on the debt and deficit of states. What role will the ECB play in all of this? Germany has won out the argument over whether the ECB should step in and fully back stop Italy and Spain, despite protestations from France. So the ECB is likely to play a limited role for now – though that could change should there be no solution to the crisis this week. Recently, France was still pushing to include a phrase which encouraged the ECB to continue its bond buying even after the EFSF was leveraged, however this looks to have been dropped from the draft summit conclusions. Meanwhile, Martin Wolf’s article in the FT today called for the ECB to step in and backstop the eurozone. - It’s definitely desirable to keep the ECB role at a minimum, given already big questions over its independence, credibility, and the risks on its opaque balance sheet. The ECB currently has an exposure of €590bn to the PIIGS, up from €444bn only 4 months ago. - In his article, Wolf makes some valid and interesting points, but, uncharacteristically, glosses over the fact that the problems with the ECB’s monetary policy helped to fuel the crisis (by cycling cheap credit to the peripheral economies, which fuelled asset bubbles and sovereign spending). Looking at the averages of the eurozone is massively misleading and says very little. On average the picture for the eurozone doesn’t look too bad but it masks the huge divergences and imbalances which are nearly impossible to overcome. - Having the ECB step in now and expand its balance sheet with no clear exit strategy or conditionality would have unknown effects and would be undesirable in the long run. - The ECB cannot act as full lender of last resort in the eurozone without engaging in fiscal policy. This is a structural flaw in the eurozone, which cannot be overcome by some panic solution. - The ECB will ask for a say in exchange for providing the funds – having policy dictated by an independent, unelected central bank is not desirable or sustainable. To expect the ECB to just put up the funds without a say would make it a political pawn and would cease to be effective at any of its goals. - In any case, forcing it through would risk German support for the eurozone. There’s no point sacrificing the long-term viability of the eurozone, in return for short-term stability. - See here and here for a full discussion of the ECB issue. - Even if the rumoured leverage of €1.25trn - €1.4trn could be achieved, it will not be enough to fully backstop Italy and Spain. Italian funding needs over the next three years total between €825bn and €907bn, depending on budget policies. Spanish funding needs could reach between €500bn and €602bn. Add into this the cost of bank recapitalisation and the needs of other countries and it becomes clear the fund can never really be large enough to act as the full backstop which markets want. - The main point in the short term is that it significantly undermines the planned budget cuts of around €100bn, even if this target is achieved which seems very unlikely. If yields reach these levels or increase, then Italy will miss its deficit targets for the next few years. This will increase market fears and impatience of Eurozone leaders and ECB. - All of this adds significantly to longer term debt, plays on debt dynamics, as average interest rate paid increases and makes it harder to keep balanced budget. Rebels in need of a cause? As you are undoubtedly aware by now, last night 79 Conservative MPs defied a three line whip to vote for a referendum on the EU. There have been Tory euro rebellions before, and no doubt there will be again – but this one was different. Not only did it take in nearly half of all Tory backbenchers, but it also included many of the 2010 intake untainted by the Tory euro wars of old. This new group are not against the EU in its entirety but wish to see some form of EU reform where powers are returned to the member states. Much can be said about yesterday's vote - and we'll return to this issue when the dust has settled and tempers have cooled down. Leaving aside the issues of Cameron's party management skills, backbench powers and residual discontent over the Coalition (pretty big issues in domestic politics for sure), yesterday's debate, whilst good in part, did suffer from a certain lack of clarity and definition. We know that many MPs are unhappy about the status quo in Europe - that was clear from the interventions. But moving beyond discontent, what sort of Europe are MPs/should MPs be arguing for? David Cameron said that he agreed with the rebels as to their ends but not their means – yet scratch the surface and there are a variety of opinions, some informed, and some less so. Some MPs talk of repatriating powers, others of a free trade agreement, and some of a Norway-style arrangement as if these were mutually interchangeable. In fairness Tory MP Nadim Zahawi made exactly the same point during his speech yesterday. There is also disagreement as to what the UK's negotiating position ought to be; some believe the eurozone crisis has given the UK a golden opportunity to demand reform, while others take a more cautious line. But - and this is where the debate is likely to head next - there's growing agreement across the political spectrum that the move toward eurozone fiscal union creates a new situation for the UK and one the UK needs to respond to in a strategic manner. It is unclear when or if there will be a new treaty, but when the time comes the UK will need to know what to ask for. In other words, we need to calmly and rationally weigh up the UK’s membership of the EU and decide what our priorities should be. What does the UK need to safeguard from an unsympathetic eurozone voting caucus? What should be decided at the national level only? How can safeguards and carve-outs be made watertight and legally binding, given the EU's history of circumventing such measures (think Charter of Fundamental Rights)? What does the UK do if there's a new eurozone-only Treaty, stripping the UK of its veto over the next step of European integration, but leaving it exposed to the secondary effects? These questions need answering, and the government needs to draw up a plan to make sure the UK's priorities get pushed through. It is important that the UK ascertains who its potential allies are, what its negotiating levers are, and when to use these to maximum effect. Encouragingly, it looks like this process might already be under way, as the government announced this afternoon that a review of which powers could be returned from Brussels to Westminster is in its early stages, with Europe Minister David Lidington saying that he “would welcome constructive suggestions from the Opposition as well as any part of this House as that work is carried forward." If last night’s vote increases the sense of urgency in the need to come up with such a properly thought-out strategic plan then it will have served some good. If not then it will be just another chapter in Conservative Party’s internal politics. Will Beijing get the last laugh? Stories about Chinese involvement in the eurozone rescue are hardly new, after all China’s sovereign wealth fund, the China Investment Corporation has got over $400 billion in assets to invest, and the eurozone is in desperate need of fresh capital. There are a number of options available; China could invest in infrastructure projects, assist in the bank recapitalisation programme or buy up even more government bonds. A couple of weeks ago the Sunday Times reported that in return for such investments, China was secretly seeking additional commitments on budget cuts and structural reforms (including on welfare and pensions) among member nations of the currency bloc. The paper cited a source close to the recent G20 talks in Paris as saying: "China wants to be sure that Europe knows the size of the hole and that it won't get any bigger before they agree to fill it in”. In addition, it has long been speculated that in return for bailing the eurozone out, China could obtain significant political concessions, such as the lifting the EU's arms embargo and be given full market economy status. However Germany's (and Europe's) most widely read tabloid Bild today opted for a more tongue in cheek (although some would say tasteless) take on the matter, which we have included above. 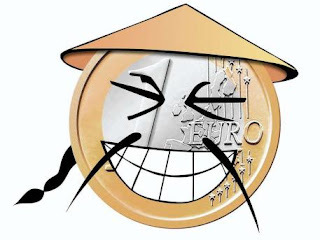 Given the perilous state of the eurozone, we fear that it may be the Chinese who have the last laugh. Meanwhile, in Brussels, European Commission President Jose Manuel Barroso's spokesperson said that he has heard nothing new regarding Italy's willingness to to adopt the measures that Merkel and Sarkozy demanded at Sunday's EU summit. So things are not getting any better for Berlusconi and his government. As usual, you can follow us on Twitter @OpenEurope for instant updates from around Europe. A German eurosceptic party on the horizon? There is a curious mismatch in the German EU debate between public opinion and party politics. Poll after poll shows that a clear majority of Germans oppose further bailouts and eurobonds, and yet the two main opposition parties that have backed eurobonds in principle, the Greens and SPD, are currently way ahead in the polls (Combined they are on 42% to Merkel's CDU/CSU on 31% . While there are some obvious initial explanatory factors such as Germany's unambiguous commitment to Europe and the fact that German elections (there are a number of state elections in addition to national ones) have been dominated by personalities and local issues. Nonetheless, an opinion poll is FOCUS earlier this month suggested that 37% of Germans would consider voting for a "euro-critical" party, which begs the question whether there is a vacuum in German politics just waiting to be filled. We're yet to be entirely convinced. The FDP, Germany's liberal party, had a brief and half-hearted flirtation with a more critical EU stance during the recent Berlin regional elections, and scored a disastrous 1.8%, although the impression we got was that the FDP leadership really wasn't all that keen on the flirtation in the first place. On the other hand, the German political scene is fluid, which is why the rise of the German Pirate Party (Piratenpartei) is particularly interesting. The Pirate Party is tapping into to the German debate on an unregulated internet, civil liberties and privacy. Like its Swedish counterpart, the party targets a younger, more or less tech-savvy demographic, using the same social media and IT tools that it wants to 'set free'. A recent opinion poll put the Pirate Party at a full 10%. When Schrade was asked whether he thinks this means Greece should leave the eurozone, his reply was: “not just Greece”. So a break-up of the euro in other words. The regional Piratenpartei in North Rhine-Westphalia called for referenda on bail-outs and have argued for an Icelandic style solution to the eurozone crisis rather than the current bailout strategy. The Swedish Pirate Party ran on a clear eurosceptic platform in the European elections in 2009, in which they managed to get 7.1% of the vote by opposing the EU's Data Retention Directive and various other international data sharing measures, as well as the Lisbon Treaty. Could such a strategy work in Germany, if the Piratenpartei was to capitalise on the anti-bailout mood as well? The Piratenpartei is less of a political party and more of a movement, and as such it may be difficult for it to come to an internal agreement on such a huge issues like the future of the EU and euro, not least because its supporters are scattered all over the political spectrum. However, what is abundantly clear is that the rise of the Piratenpartei shows that Germans are ready for something new (and incidentally marks a conspicuous failure by the FDP to reinvent itself). In any event, with an increasingly assertive Bundestag, and with voters starting to show signs of seeking political alternatives, German domestic politics is becoming more interesting by the day. As we mentioned in our previous post, yesterday Italian Prime Minister Silvio Berlusconi had to face some serious pressure from Merkel and Sarkozy. In a desperate attempt to save face, Berlusconi has just released a communiqué claiming that "no one in the EU...can lecture his partners". However, it's no secret that his French and German counterparts literally gave him three days to come up with a concrete set of reforms to enhance growth - to present at Wednesday's EU summit. Il Cavaliere had a particularly bad EU summit yesterday, but once back in Rome, it got even worse as Berlusconi was forced to call an emergency cabinet meeting for this evening and announced a plan to raise retirement age by two years, to 67. This idea drew an immediate rebuke from junior coalition partner Lega Nord, which claims it has already made important concessions, on issues such as private sector female workers' pensions, to save Berlusconi's skin. So, for the umpteenth time, will this be the end for Silvio? 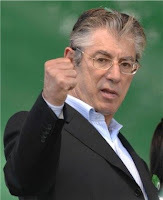 Lega Nord Senator Rosi Mauro said this morning that her party was ready to "take to the streets", should the Italian government decide to push ahead with its pensions reform plan. But most importantly, the emergency cabinet meeting (initially scheduled for 5 pm London time) has kicked off more than one hour later, because Berlusconi was stuck in a meeting with Italian Economy Minister Giulio Tremonti and Lega Nord leader Umberto Bossi (see picture). At that meeting, the latter reportedly threatened to walk out of government, should Berlusconi not drop his plan to increase the retirement age. On the frontpage of FAZ, Holger Steltzner argues that: “Italian industry is strong, but politicians are weak. Italy could quickly gain international competitiveness and economic growth, if it only wanted to." So, by Wednesday, EU leaders will have held nine meetings in five days, which is extraordinary. In addition, they will also have seen through a huge number of rows. So how many rows can we count to, over the last week or so? Here we rank them in order of their potential significance and level of intensity. 1) The 'you shut up' row: French President Nicolas Sarkozy finally lost it with David Cameron's consistent criticism of the eurozone leaders' handling of the crisis, reportedly telling him he "had lost a good opportunity to shut up", while also trying to cut Cameron out of important meetings deciding the bank recapitalisation plan (a move that eventually failed). You can understand Sarkozy's frustration but if he snapped at everyone who criticised the handling of the crisis we'd imagine he wouldn't have too many people to talk to. 2) The 'laughing at Berlusconi' row: After teaming up and privately lambasting Italian PM Silivio Berlusconi for his lack of economic reform (or any reform at all) despite the growing market fears surrounding his country's debt sustainability, Sarkozy and German Chancellor Angela Merkel let their feelings slip publicly by laughing in response to a question on whether Berlusconi had convinced them of his ability to finally make the necessary reforms. Not the proudest moment for either the French or German leaders but sums up what seems to have been another bad weekend for Berlusconi in a terrible year. To top it off he returned to Italy and announced a plan to increase the retirement age by two years, a policy likely to put him on a collision course with his coalition partner Lega Nord. In terms of consequences then this row could be a biggy, given that it may threaten the stability of the Berlusconi government. 3) The 'not so happy couple' row: Despite seeming united while ganging up on Silvio, the facade of unity between Merkel and Sarkozy was quickly shattered. In something that seems more like a scene out of a bad High School Musical sequel, Merkel is reported to be hurt after Sarkozy remarked to other leaders about the Chancellor,"she says she is on a diet and then helps herself to a second helping of cheese". We'd imagine this could turn out to be one of the more costly insults in history if Merkel decides to remove any sympathy for the French government or banks from her approach to the crisis. Add to this the reports of a loud slanging match at Jean-Claude Trichet's leaving party and all does not look well behind the scenes for the EU's proverbial power couple. 4) Merkel v the Bundestag: Last Friday saw the recent tensions within the Bundestag come to a head, with the parliament refusing to give Merkel a mandate to negotiate on at Sunday's summit, eventually forcing the EU to agree to hold another summit on Wednesday. In terms of consequences for eurozone decision-making, this one is key. The row over how much say the Bundestag has in the eurozone crisis negotiations and policies has been simmering for some time and we expect this to be the first of many flash points. Merkel took an early lead by sidelining the Bundestag but with the recent German Constitutional Court ruling and by forcing Merkel's hand here, the Parliament has clawed it back. 5) Conservative Party 'rebellion': Yes, we put this fifth, despite this being the biggest internal test Cameron has faced to date - this is because, to us, it's a bit of an inflated Tory row. Scratch the surface, and the Conservatives are more united on Europe than they ever have been (arguably) - most of them want renegotiation. Still, media loves that old Tory split story and there are widespread reports of a growing 'rebellion' in the Conservative Party ahead of today's vote on the prospect of an EU referendum. Definitely, become a bigger issue than the government would have wanted and has gained some vocal support but with a three line whip the government looks likely to get its way eventually (albeit after handling the situation poorly). The actual motion is non-binding and the Government will win the vote in any case. But in terms of political outcome, it's finely poised, though we give it a draw for now. 6) The 'banks won't pay' row: An old classic here, with the usual arguments between the banks led by the Institute for International Finance (IIF) and EU officials. Banks refuse to take bigger write downs angering the officials and stalling any permanent solution. As long as the write downs continue to be voluntary in nature the banks will continue to hold the power. 7) The ECB 'footnote' row: As we noted in our post on the latest troika report, the IMF and the ECB had a significant disagreement over the debt sustainability in Greece and the level of write downs needed to keep Greece stable. The IMF looks to have one out given the analysis in the report, although the ECB got a footnote in stating it doesn't agree with the scenarios. A win for the IMF but given the previous row and result it may become a moot point. - It was agreed that a full European Council meeting will precede Wednesday's eurozone meeting - a concession to the UK, Poland, Sweden and other 'outs'. - How to leverage EFSF still needs to be resolved, with two options reportedly under discussion - none of them, thankfully, involving the ECB (according to Merkel). 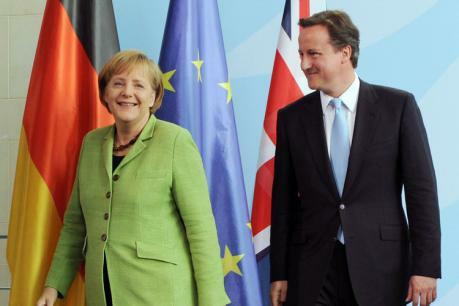 - No agreement on what to do with Greece. - EU leaders seem to have reached a preliminary agreement on bank recapitalisation, with most reports stating that leaders see a need for a €100bn capital injection (add or take away a few billions) into the EU's banking sector, first coming from private funding, then governments and finally EFSF as a last resort. - Viewed from London, it's interesting that that draft conclusions state that any EU treaty change must be agreed by all 27 member states. This is of course the case per definition for an EU Treaty change but could also be an attempt by the UK and others to steer the eurozone away from pursuing a eurozone-only Treaty (similar to Schengen), effectively stripping the UK and other non euro-members of their veto over changes that could have an indirect, but significant, impact on them. At his press conference, David Cameron also said that any EU Treaty change could be used to "advance British interests", which is interesting. Cameron is probably playing to sceptics at home ahead of tomorrow's vote in the Commons on a motion calling for an in/out referendum. But by upping the game like this, it will be difficult for him not to deliver some sort of safeguard or even powers back when EU Treaty changes or further eurozone integration are put on the table (a first discussion over Treaty change can be initatied as early as December). That pressure will be there even if that change technically impacts on the eurozone only. As we've argued before, the eurozone crisis is changing the way Europe operates, which has all kinds of implications, for example steering the EU in a more "inter-governmental" direction. The implication for the UK's Coalition government is clear, however: Cameron and Clegg simply can't freeze the EU as an issue during this parliament, as was its original strategy. The status quo is no longer an option, whether they like it or not. Now, at his press conference, Cameron flagged up the risk of an integrated eurozone effectively taking bloc-decisions with a profound impact on the UK economy, but without the UK having a presence at the negotiation table, for example in trade and financial services. He's absolutely correct to highlight this potential risk. But he is wrong to say, as he also did at the press conference, that we shouldn't 'get ahead of ourselves' on a potential EU treaty change, as such changes "take years". It's true that Treaty changes will be slow-moving, but the key to set the agenda in EU negotiations is to get in early and get in with clear objectives, meaning that now is the exact right time for the Coalition to develop a game plan for how to achieve reform in Europe. 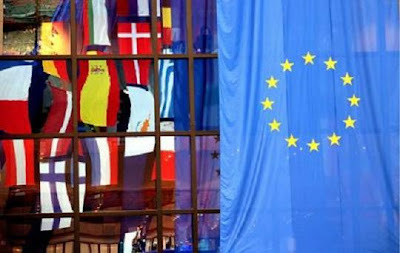 Not through grand posturing or meaningless symbolic demands, but a concrete, credible and positive blueprint, forming a part of the constitutional and political settlement that is likely follow in the wake of the eurozone crisis, whatever turn that crisis takes. And just for the record, there's a crucial difference between the immediate crisis, which is wholly inappropriate to seeking to exploit and the long, political discussion that will follow afterwards, where the UK has little choice but to engage with its own sets of demands (like everyone else). Following tomorrow's vote in UK parliament on an in/out referendum, this is where the debate on EU reform probably needs to move on to. Just a couple of brief comments on the 'Troika' report that's now been out in the public domain for over 24 hours (through various leaks). Linkiesta has the text of the report here. Just to recap: the European Commission, the IMF and the European Central Bank - the so-called Troika - released (or leaked) their report yesterday and today, on the state of Greece's debt. It is a seriously damning account of the Greek economy (in parallel with reading the Troika report, it's worth re-visiting our briefing on the second Greek bailout). The report basically sets out how Greece would need far more in assistance than previously thought - possibly around half a trillion euros - in absence of far-reaching private sector write downs on the country's debt. As we argued in a report published earlier in the week, and as the Troika have now essentially admitted, private creditors would have to take a 60% haircut on their bonds, in order for Greece to have any chance to return to debt sustainability. Basically, the Troika report drops all pretenses, and acknowledges that Greece can't meet the conditions and commitments agreed under the first (and second) rescue packages - it's just a case of accepting that and moving on. It is incredibly telling that this assumption forms part of the troika's baseline (expected) scenario. Furthermore, the report states that even with a 60% haircut, Greece's debt will still amount to 110% of GDP by 2020, including €115bn which the troika expect Greece to receive from the second bailout(remember currently currently only totals €109bn). In other words, to avoid a further deterioration of Greece's debt, the second bailout as well as the level of private sector involvement will have to increase in size. In a sort of twisted hat tip to this upcoming strife, one of the footnotes states: "The ECB does not agree with the inclusion of these illustrative scenarios concerning a deeper PSI in this report." Apparently, the ECB and the IMF didn't quite see eye to eye on the level of write downs bondholders should face and Greece's debt sustainability. Forgive us, but given the IMF's extensive experience in the matter we slightly inclined to side with them on this one. As Paul Mason did a good job of illustrating on yesterday's Newsnight, the chart (on p. 3) comparing the debt sustainability, according to the Troika's updated figures, to the equivalent analysis in the previous Troika report is fairly damning as well. Either the Troika got it completely wrong previously or things have got massively worse (probably both). In combination, this seems to suggest that Greece won't be able to return to the market until 2020, even with the help of a second bailout. And yet, the Troika seems to suggest - echoing some EU leaders and the ECB - that Greece can avoid a default - even on the back of that report. That can only be described as an insult to the intelligence. Why not have a free vote on the EU Referendum? 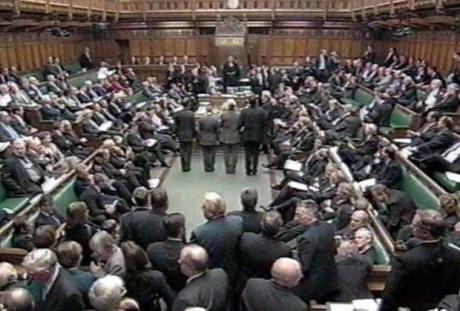 Monday will witness a showdown in the UK Parliament over a motion calling for a referendum on the UK’s EU membership. According to the motion, a public vote should be called with three options: stay in, withdraw or stay in but renegotiate the terms. The motion has triggered a flurry of MP maneuvering and comment (see here, here, here, here and here for example) With the raging eurozone crisis as a backdrop, the feeling is that the UK government's strategy - to freeze the issue of 'Europe' during this parliament - is being overtaken by events and public opinion. Potentially 67 Tory MPs could vote against the Government, according to most recent reports, alongside a handful Labour and DUP MPs. Two alternative amendments have been tabled, one by George Eustice MP calling for a referendum on the EU but only after a successful renegotiation of powers. His amendment also calls for the Government to publish a White Paper in the 2012-13 session of Parliament on what EU powers the Government would seek to repatriate from Brussels. Earlier today, Cameron indicated that the government will not support either the motion or the Eustice amendment. MPs will be on a three-line whip to vote against the motion, but it remains unclear whether Cameron will whip MPs to vote against the Eustice amendment - though chances are he will whip against it, given that even the 'compromise' amendment is still unacceptable to the Lib Dems. "I think the government has handled it very, very badly and have escalated this into a conflict that was entirely unnecessary." It's hard to disagree. Irrespective of what one thinks about a referendum on EU membership, why not allow a free vote? It's clear that the public is becoming increasingly restless with the current EU-UK relationship, although this is not confined to the UK, witness the growing frustration with EU's elite's disregard for national democracy (the No votes in the Netherlands, France and Ireland, the bailouts etc) and the remoteness of EU institutions all across Europe. It is therefore hard not to have some sympathy for people who feel that a referendum on Europe is long overdue. At the same time the outcome of an in-out referendum, if it was held today, could well generate a 'stay in' vote, due to the uncertainty that would be triggered by a No vote (fuelled by the fragile economic situation - we could see echoes of the second Irish referendum on the Lisbon Treaty). As Peter Oborne noted at a recent Open Europe event, an in-out referendum would unite the media establishment, a large part of the business community (think 'rules of origin' and potential trade tariffs), the Lib Dems, most of Labour, but would split the Conservatives right down the middle. The risk is that a Yes vote also would kill the question of EU reform for a very long time - leaving the current, sub-optimal structure in place for far longer than need be. In any case, an 'out' vote would not settle the question of the UK's future in Europe as it would trigger a hugely complex round of negotiations with other EU countries in order to establish a new relationship. And here's the thing, at the moment, there are no credible alternatives to membership. In or out of the customs union? How to avoid trade disruptions? How to secure market access across Europe for the City? etc etc. For example, replicating the European Economic Area, a la Norway and Iceland, would be pretty disastrous, given that it would still subject the UK to Single Market regulation, but without giving Britain a voice at the table when these laws are forged (although at least Norway gets autonomy over fishing - a key industry - and agriculture in return). A series of Swiss-style bilateral agreement seems like a more credible option, but again, that will involve a hugely cumbersome and unpredictable negotiation process. But regardless of these arguments, surely MPs should be free to weigh up the pros and cons for themselves and make up their own minds? By coming down so hard on MPs over this vote, Cameron risks re-creating the very same 1990s-style tensions over Europe that the leadership has tried so hard to avoid. The whole point of the first-past-the post electoral system is to give MPs some autonomy from the party leadership in order to be able to better represent their constituents' interests and respond to their concerns, rather than to always follow the party line. In contrast, under proportional representation, the decision making process within parties is very centralised, as the party leadership has the power to de-select MPs from the party list at the next election. The Tories made a principled stand on keeping first-past-the post during the recent AV referendum, arguing that one of its key advantages over proportional systems was to empower backbench MPs vis-a-vis the executive. It seems somewhat hypocritical then that they are now maintaining a similar system of rigid, centralised party leadership diktat via the three line whip that would not be out of place in any PR system. In addition to dealing with important EU issues at home, the UK government will face a huge challenge at this weekend’s EU summit – it will have the chance to act as the voice of reason amongst the cacophony of empty promises and grand gestures. Make no mistake, the eurozone crisis and the policies aimed at solving it can and do affect our economy. As our recent briefing highlights, under a Greek and Portuguese restructuring and accounting for the market prices of Irish, Spanish and Italian debt (a worst case scenario), the necessary recapitalisation of UK banks could total between £21bn - £45bn – that some of this would need to come from UK taxpayers should be enough to convince anyone of the gravity of the situation. Certainly, there is no shortage of suggestions that the UK government could make to eurozone leaders. Let us start with their plan to use the EFSF, the eurozone’s bailout, to insure some part of peripheral sovereign debt. The thrust of the plan is that €440bn worth of EFSF funds would be used to offer a guarantee of 20% on new, mainly, Italian and Spanish sovereign debt, therefore leveraging the coverage of the fund five times. This creates a circular situation where countries such as Italy and Spain are guaranteeing their own debt, making the extra insurance almost worthless in the case of a default (exactly when it is needed). The UK government could also point out the irony in the fact that, despite making insurance of sovereign debt the foundation of their latest eurozone ‘solution’, the same leaders have just imposed extra unnecessary financial regulation on the use of credit default swaps (a valid form of default insurance). There’s also a worrying comparison to be made between the origins of the financial crisis and many of the solutions which the eurozone is now considering. European leaders seem to have settled on ‘leverage’ as the answer to all their problems. The logic that it’s easy to institute and will ‘never really be called upon’ rings of the financial instruments that helped create the financial crisis. Furthermore, putting a fund which will hold an abundance of similar assets exposed to the same risks and will create huge unfunded liabilities at the heart of an already unstable and divisive monetary union is asking for trouble. Given the UK’s exposure to the crisis and the knock on effects it could have on its economy, the government cannot give its support, even tacitly, to such flawed proposals. A failed solution to the eurozone crisis could have just as many negative effects for the UK as no solution at all. Increasing liabilities and continuing to shift debt around the eurozone (mainly from the private sector to the public sector) has not only failed, but looks to be the predominant cause of the growing political unrest in many eurozone countries. As our recent briefing points out the only viable short term option for the eurozone remains a debt restructuring in Greece and Portugal and a full recapitalisation of European banks. The UK government has another opportunity to grasp this, it would do well to take it, otherwise we could end up with yet another non-solution to the crisis, which not only the eurozone but also the UK can no longer afford. What’s another trillion euros these days? Heading Towards A Bitter 'Finale'? What about the democratic deficit, Mr Cameron? One month to save the euro?